Apparently the special QWERTY keyboard layout can’t bring you perfect typing experience, but the internal slots will hold your bills and credit cards. Let’s go on checking the QWERTY keyboard styled premium leather wallet. This is a unique leather wallet that measures 8.5 inches long by 3.75 inches tall. The entire wallet is constructed of premium quality leather, and comes with red lining for the reminiscence of typewriter ribbon. 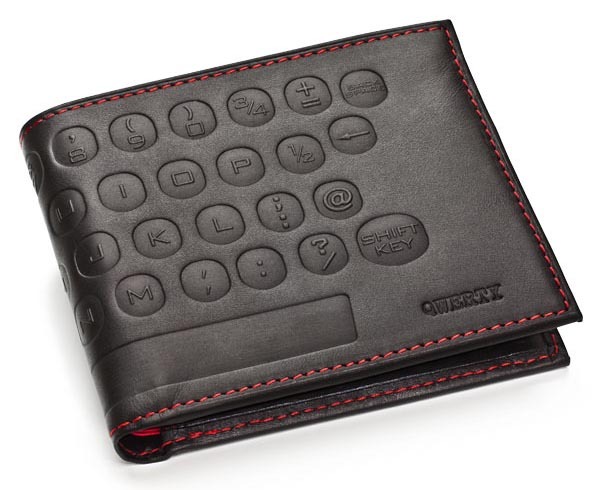 And as we can see from the images, the exterior of the wallet features a QWERTY keyboard layout that belongs to the old manual typewriters, and each key is embossed. 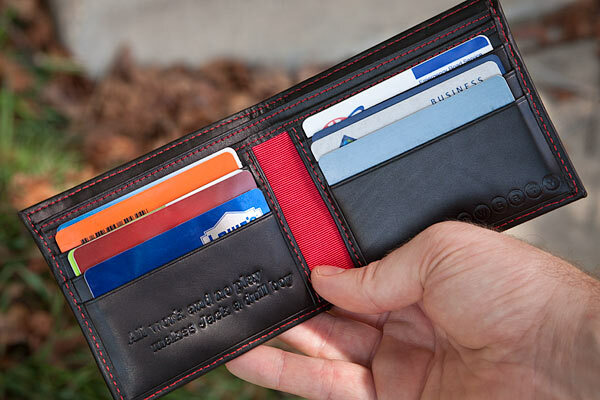 Inside, the leather wallet features 2 folding money pockets for your cash, 6 card slots for credit cards and business cards and 2 hidden pockets for your important items. 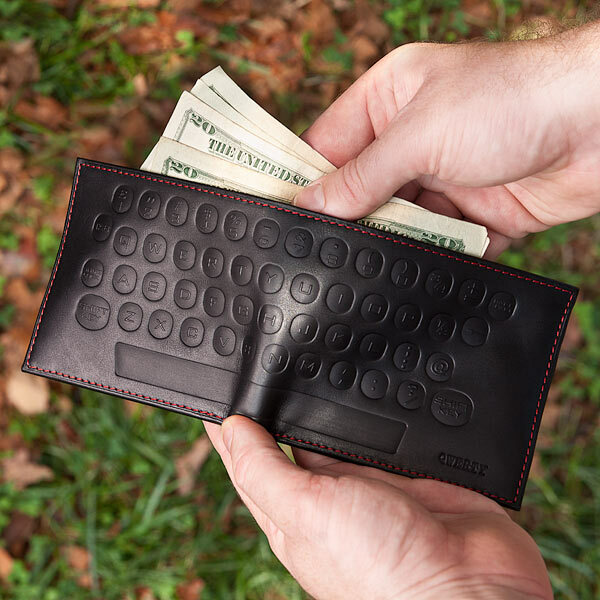 QWERTY keyboard styled premium leather wallet is priced at $39.99 USD. If you”re interested, jump to ThinkGeek for more details. Additionally, if you need more options, you might like to check Hard graft handmade leather wallet, Pokitt ultra slim wallet, and more via “wallet” tag.